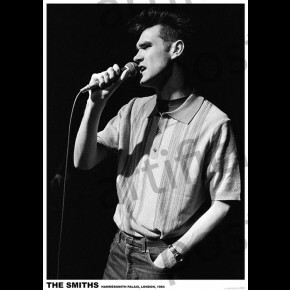 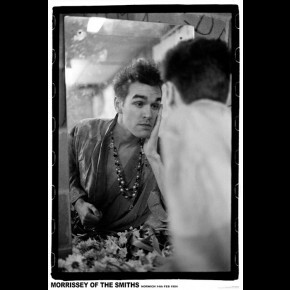 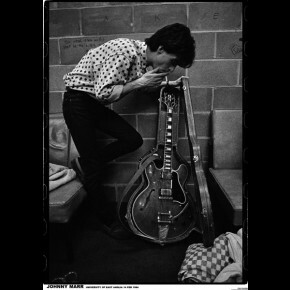 Music posters - The Smiths posters: Black and white Smiths poster featuring the band photographed at the Electric Ballroom in London on 21st May 1983. 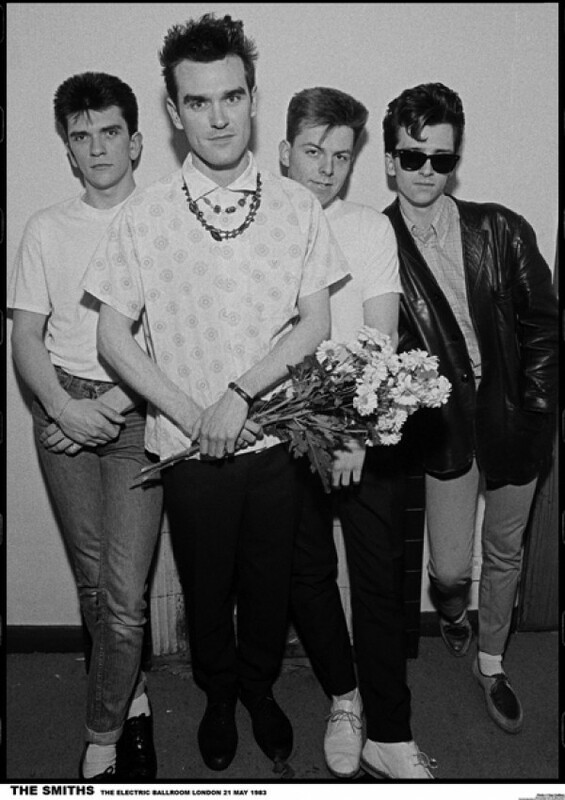 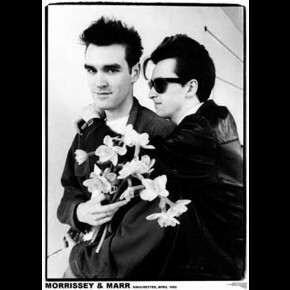 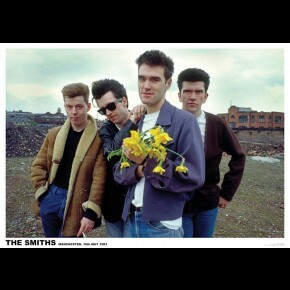 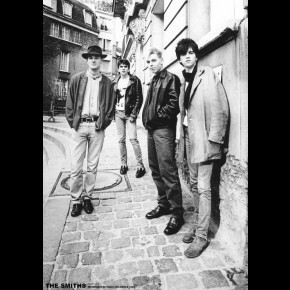 This Smiths poster features Morrissey, Johnny Marr, Andy Rourke & Mike Joyce, with Morrissey clutching a trademark bunch of flowers.. 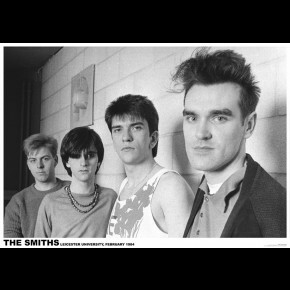 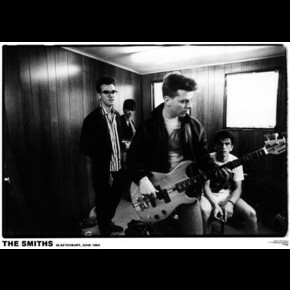 Independent Smiths poster from Art-i-ficial.